Since the cost of wine is rising, why not savour it even more by knowing a few common terms people sometimes miss? You don’t need a private school drawl to enjoy wine – and personal experience has proven that winemakers in South Africa will be quick to point it out. At the end of the day, winemakers are farmers, people who take great pride in what they produce. They want more people to drink the fermented fruits of their labour, and wine not? In 2017 VinPro’s statistics on domestic wine sales showed that around 402 million litres were sold. While it is encouraging, the drought in the Western Cape did impact stock levels, and that is pushing up the price of wine this year. Also, there’s a global wine shortage in wine producing countries because of frost damage, heat waves and fires. But, it all translates to savouring wine more, and that’s a great reason to know some common wine terms. Simply explained, appellation is a naming right. So while most Méthode Cap Classique’s in South Africa are made in a Champagne style, it cannot be called Champagne. Only sparkling wine from the Champagne region of France can be called Champagne. But where it gets interesting is the fact that a R500 bottle of mass-produced Champagne is probably not going to be as good as a R200 MCC – especially in South Africa where we are spoiled with award-winning MCC. Unless you’re willing to drop thousands on Champagne, stick with MCC. As mentioned, MCC is a sparkling wine made in a champagne style. Sparkling wine in SA usually covers all other wines that are carbonated – and are usually a little less expensive. Both cannot be called Champagne. No, not as in discarded treasures you pick up at a second hand store. In wine terms, vintage means the year most of the grapes were harvested. When buying a mid-priced wine (usually anything oaked), if it is a few years old it probably already has depth of flavour, but could age a little more. Expensive wines usually are best when cellared for a few years. Inexpensive wines carrying a 2018 vintage should usually be opened shortly after purchase and probably won’t age gracefully. Magnum, meaning big, the same word overused by Donald Trump while explaining his hands. Magnum wine bottles are those 1.5 litre bottles of wine often on the bottom shelf of the wine aisle where the easy-drinking wines reside. However, South African winemakers are pushing for the production of more magnums and they’re already available at many cellar doors. Magnums are a great way to for more wine to be effectively packaged, and you can expect to see some mid to high-priced wines in these generous bottles. Ever wondered what that little WO on a wine label means? Simply puts it tells you where the wine is from. A WO Stellenbosch means the wine is from that area. The WO system almost works like the appellation system, just in terms of the winemaking districts in South Africa. 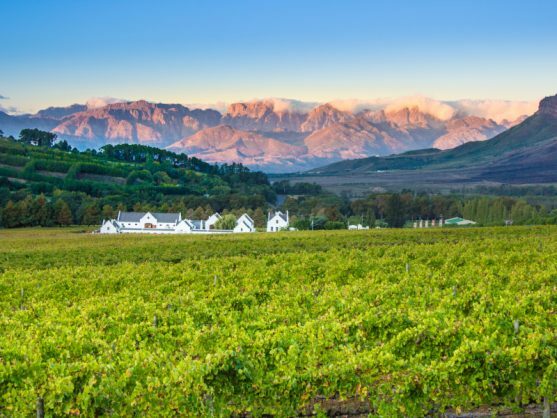 South Africa is one of the world’s best New World Wine producers. These are wine-producing countries or areas not part of European countries like France, Germany and Italy. The interesting thing is that many of the vines established in the Cape of Good Hope were from France.